All children are naturally motivated to learn and are capable of learning. The knowledge acquired by them is the outcome of their own activity. Children learn through interaction with people and environment around. They construct knowledge by connecting new ideas to their existing ideas. In order to stimulate creativity, inventiveness and the attitude for innovation in science and mathematics, National Curriculum Framework (NCF-2005) emphasizes on activities, experiments, technological modules, etc. It also encourages implementation of various activities through a massive expansion of channels such as organisation of science, mathematics and environment exhibition at the national level for school students, with feeder exhibitions at school/ block/tehsil/district/region/state levels. NOTE: The One-Day Seminar should preferably be organised one day before the organisation of State Level Science, Mathematics and Environment Exhibition (SLSMEE) for Children. 1. 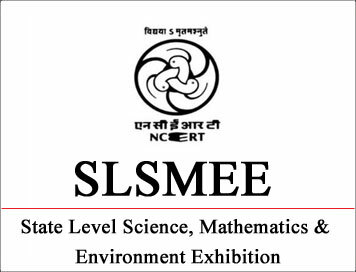 In case Districts/Regional Level Exhibitions are not being organised by the State/UT,a Screening Committee should be set up to fi nalise the selection of entries from various institutions for participation in the State Level Science, Mathematics and Environment Exhibition (SLSMEE) for Children. 2. The Screening Committee may consist of representatives of SISE/ SIE/SCERT and some selected representative institution(s). All records about the meeting of the committee should be maintained. The selection procedure adopted should lay more emphasis on the quality of the exhibits rather than quantity. It should be ensured that the exhibits are not crude and hazardous and have good fi nish and are presentable. 3. The above mentioned Screening Committee or a separate panel of judges should evaluate the exhibits according to the criteria of evaluation as mentioned for SLSMEE. Best three exhibits in each sub-theme should be selected; preferably developed by secondary and higher secondary students; by the said panel of judges. However, an outstanding exhibit developed by upper primary students and members of science clubs may also be considered if the said panel of judges feel so. 7. Presentation - aspects like demonstration, explanation and display (10 percent). (i) 5% extra weightage may be given to exhibits from rural/backward regions. (ii) 3% extra weightage may be given to exhibits from semi urban regions.